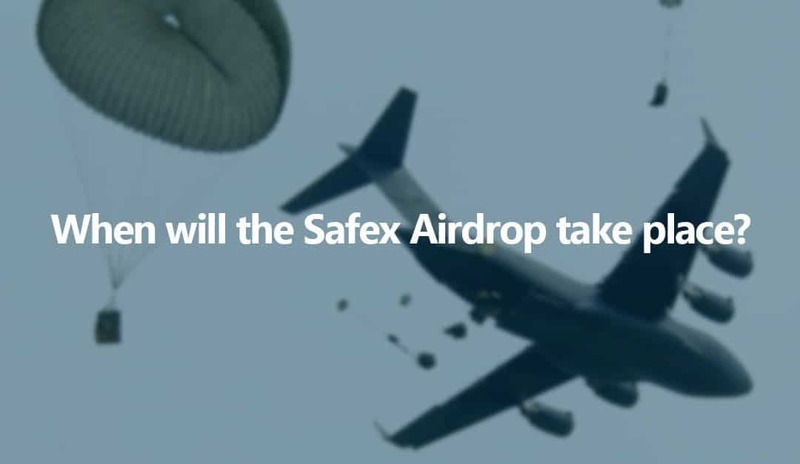 When is the Safex Airdrop? A question being asked by many in the community is “When is the Safex Airdrop?”. To settle the rumours and speculation, Daniel Dabek revealed in last week’s Community Q&A how he plans handle the Safex Cash Airdrop. There we have it – the Airdrop will NOT be on a specific date. You will be credited your allocation of Safex Cash when you convert over your Bitcoin Blockchain based Safex Tokens over to the upcoming Safex Blockchain. Of course, the whole process is still being built – specific details and a how-to guide will be released at the relevant time. So, the date you need to keep an eye out for is WHEN the Safex Blockchain will be released, rather than WHEN the airdrop will happen. It’s expected that Daniel will give us a timeline of when these events will happen near the end of March 2018. How much Safex Cash will I get? We’re not 100% sure yet, but early speculation suggests we’ll get 0.0023 Safex Cash for ever 1 Safex Token we convert to the Safex Blockchain. That is based on the 5,000,000 portion of the airdrop being allocated to token holders divided by the total amount of Safex Tokens in circulation 2,147,483,647. Nothing right now. However, it is HIGHLY recommended, where possible, to withdraw your Safex Tokens from your Exchange and store them in your own private wallet. A simple guide on how to set up the Safex Wallet can be found here. Having your Safex Tokens on your own personal private key will make the transition over to the new blockchain much easier, when that time comes. The Safex Team have not announced an official release date for the new Blockchain but we expect it to be within the next two to three months. To be notified as soon as a date has been set, please follow us on Twitter, Facebook, or subscribe to the official Reddit or Discord channels.